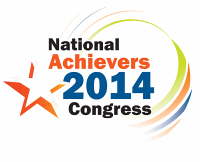 1-million-dollar-blog is proud to sponsor FREE Gold Tickets for National Achievers Congress 2014 (NAC 2014), a 3 day intensive seminar featuring inspiring world-class speakers. The program will be conducted from 23rd to 25th May 2014 at Malaysia International Exhibition & Convention Centre (MIECC), MINES Resort City, Seri Kembangan, Selangor. National Achievers Congress is a program created to be a catalyst for you to design your life in getting from where you are to where you want to be. You will learn on how to take charge of yourself and decide what you’re capable of doing, not quickly blaming government, education system or everything else around for your failure. We often complain about how our lives don’t go the way as planned and come up with excuses why we are not as successful as we could in our finances, relationships or career. Sounds familiar? This is the golden opportunity for you to attend The National Achievers Congress 2014 (NAC 2014), a 3 day intensive seminar featuring inspiring world-class speakers all in one venue. This year’s NAC 2014 returns on a larger scale in Malaysia with an expected crowd of 4000-5000 people. Our keynote speaker will be Nick Vujicic, an international inspirational speaker and best-selling author born with neither arms nor legs. Growing up, Nick learnt to complete tasks like brushing his teeth and hair, typing, and playing sports. He still had to overcome being bullied in school and depression because of his condition. 1-million-dollar-blog is proud to sponsor FREE VIP & Premium Tickets for Millionaire Mind Intensive Program. The program will be conducted from 14th to 16th March 2014 at Wisma MCA, Kuala Lumpur. Millionaire Mind Intensive Program is a program designed for those who want to be financially free. During the seminar, you will learn the secrets that general public will never know about how to think and act likes a millionaire. It is basically a financial education seminar of creating a wealth mindset, NOT a money making seminar or a get rich quick scheme. This giveaway consists of 3 VIP Tickets worth RM325 each & 10 Premium Tickets worth RM245 each. With this ticket, you will have an access to VIP or Premium seating & course materials (DVDs, CDs, Tote Bag). There will be 13 winners, and each winner entitle for 1 ticket.